Home » Latest from the Blog » Online Surveys » How Can I Increase My Earnings with Paid Surveys? Paid surveys have always been an attractive way for people to make money. The reason for this is not because it is possible to earn a lot, but because this is a very easy way to make money which requires no specific skills and also gives an opportunity to everyone to start and quit at any time. In a recent post, we have discussed the best paid survey companies. Now we will talk about how people can earn much more and what mistakes they actually make that prevent them from making a lot of money. How much money is it actually possible to make with paid surveys? Based on these statistics, we can conclude that most people don’t really make money through paid surveys or do them as a full-time job. With this in mind, it is understandable that if something is seen as extra income only, it won’t make you a lot of money. A question remains: How does this 10% of the people make so much money? 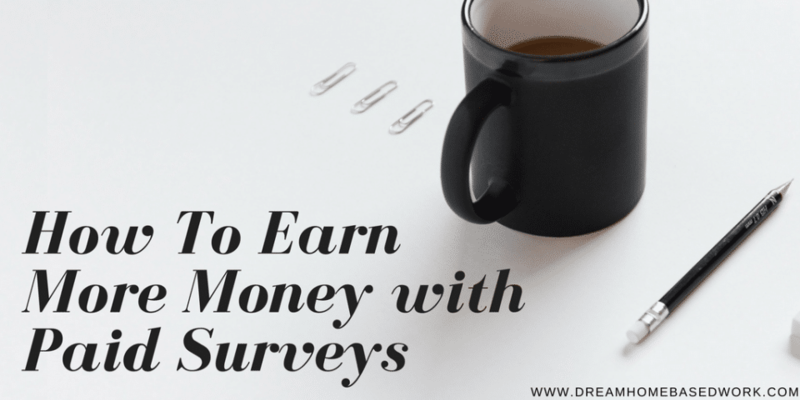 How to earn much more money with paid surveys? Before we move on, I only wanted to warn you that although we will discuss tactics that can make you more money with paid surveys, it is still not recommended to do this full-time. Do them as a source of extra income. You probably have a regular job or use other ways to make money online. 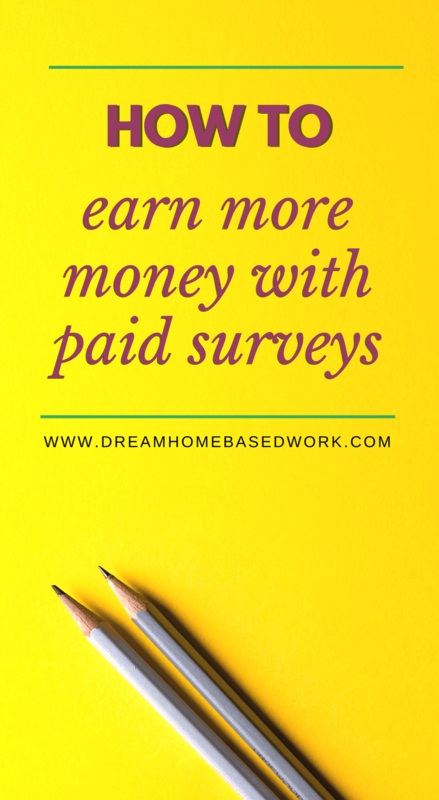 Online surveys should be your extra income only! Register with many survey panels! You really won’t make a lot with 3-4 panels. All of these panels will actually send you only a few offers per month. By joining more companies, you significantly increase the number of offers you will receive. And that is not all. You will also be able to pick the best fit for you. Even if you don’t do this full-time, register with at least 10 companies. You should also note that by joining many of these, you increase your chances to receive high-paying offers. These are rare, but if you get one, you will have a great day! In addition to this, by registering with more companies, you automatically apply for their contests. Stick to short or average-length surveys! Typically, long surveys are high-paying, but they are not easy to complete. With short surveys, even if you have been disqualified, you won’t risk a lot and there are also many companies that offer points for disqualification. Also, product testing offers are good, because in many cases you can keep the product after testing it. Online communities are something relatively new in the world of paid surveys, but people have started to like it. Register with survey panels that offer PayPal payment options and faster surveys! No need to explain the benefits of these features, but we will only mention that there are survey panels that have minimum required points before you become eligible to get paid. Now, at the same time, these panels have a point expiry period. And if you don’t make enough points to become eligible, you risk the points earned. This happens rarely, but what we can conclude is: get paid as soon as possible. Don’t keep your money in your survey account. It is only safe in your bank account. Register only with panels that are legitimate. A panel must have an A+ rating with BBB. Read some comments online. Make sure that the panel has been reviewed by the top survey blogs by typing: “survey panel name + review”. And of course: don’t pay for registration. Panels that require you to pay to register are a scam. Complete your profile survey correctly! The same study by EliteSurveySites shows that about 30% of the people make a mistake of completing the profile survey and leaving it. Note that it has to be completed and always up to date. Even if it is completed correctly, but not updated regularly, you will lose benefits. Update it every time when there are some changes in your life, at least 3 times a year. That way, you qualify for more offers. We can also read in the study that 12% of the people reported a disqualification for having answered the questions incorrectly. Companies use many ways to determine if you answer the questions correctly, and if you don't, they will disqualify you and possibly ban your account. In many cases, survey routers give you a chance for more offers. In addition, people reported that the percentage of disqualification is low. When you log in your panel, you will find many offers available to you that you can start completing instantly. How much money can people expect to make? It depends. But a reasonable answer would be about $300-500 a month. Note also that there are offers that are considered high-paying. These offers are focus groups and mystery shopping. Applying for these is not easy and not something that will happen every day, but if you have a chance to complete them, you will make much more than through regularly paid surveys. The best way to find them is to go local. There are many companies that offer a list of them, but if you type your location+ focus groups or your location + mystery shopping, you have a great chance to find something for you. Apply there, complete your details correctly and wait. What methods have you used to earn more money with paid surveys?